Recorded at the Vortex Jazz Club, London, 16th August, 2010. 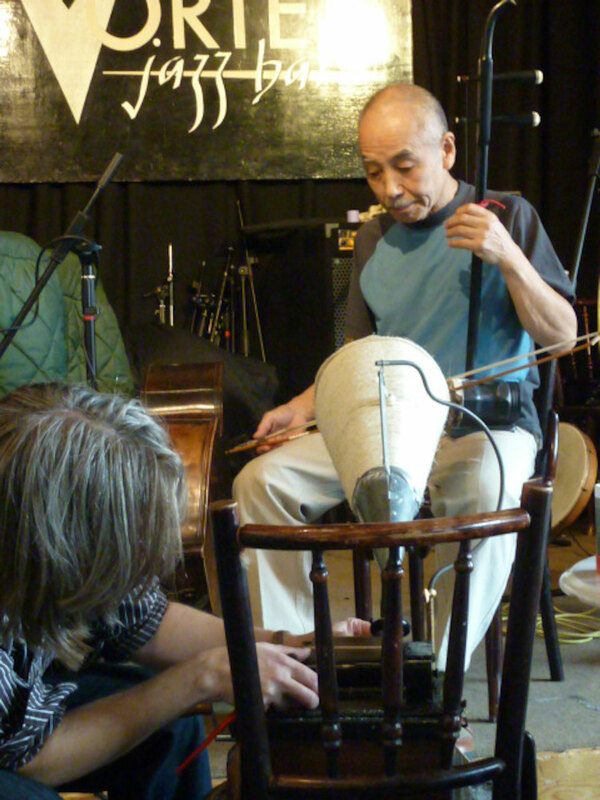 Sabu Toyozumi (b. Yokohama, 1944) is a Japanese free improvising percussionist and multi-instrumentalist. He began his career in the 1960s as a drummer with the legendary Japanese progressive rock group Samurai . In the 1970s he devoted himself to playing free improvised music and has since performed and toured extensively the world over with musicians such as Kaoru Abe; Misha Mengelberg; Wadada Leo Smith; Derek Bailey; Paul Rutherford; Sunny Murray; John Russell; Fred Frith; Takehisa Kosugi a.o. The erhu, a Chinese two-stringed bowed fiddle, is not a very powerful acoustic instrument and therefore very difficult to register on a wax cylinder. Nevertheless, Sabu’s energetic improvisation manages to break through the dense wash of surface sounds.